Crafted with the most incredible selection of precious materials, this extraordinary Seamaster Aqua Terra is a jewellery watch that defines beauty. The 34 mm case, with its diamond-set bezel, has been created from 18K Sedna™ gold. This same gold is also used for the watch’s hands. The radiant dial is fully paved with a snow setting of 498 diamonds, while the indexes at each hour are marquise-cut red rubies. The watch is presented on a glossy red leather strap and is driven by the Master Chronometer Calibre 8807, for the industry’s highest standard of precision, performance and magnetic resistance. 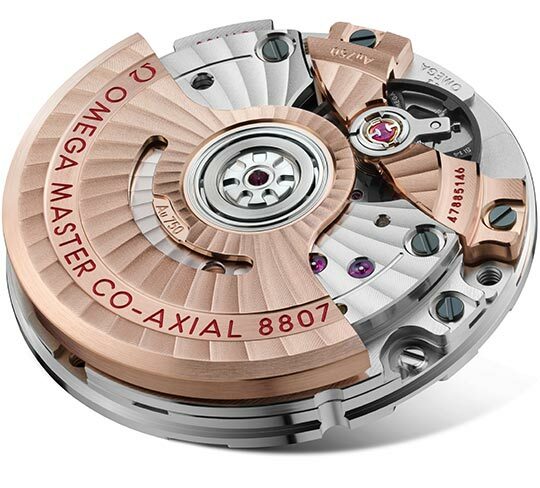 Self-winding movement with a Co-Axial escapement. Certified Master Chronometer, approved by METAS, resistant to magnetic fields reaching 15,000 gauss. Free sprung-balance with silicon balance spring, automatic winding in both directions. Special luxury finish with 18K Sedna™ gold rotor and balance bridge. Geneva waves in arabesque.